This is the new Alegoría collection. 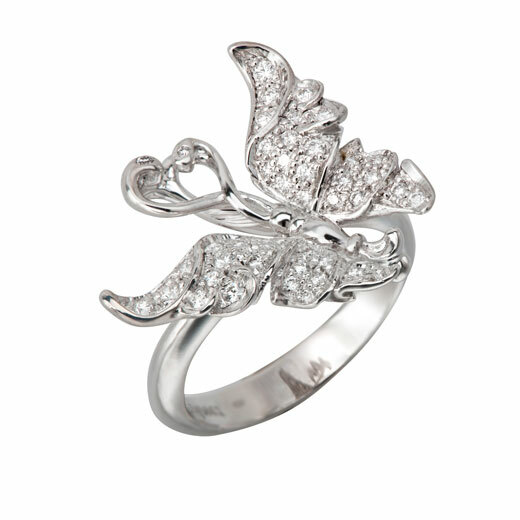 Pieces where butterflies are the protagonists. Fascinating and full of meaning and soul, these small winged creatures inspire stories that give flight to all of our fantasies and desires. Stories, dreams, magic, but also spirituality. 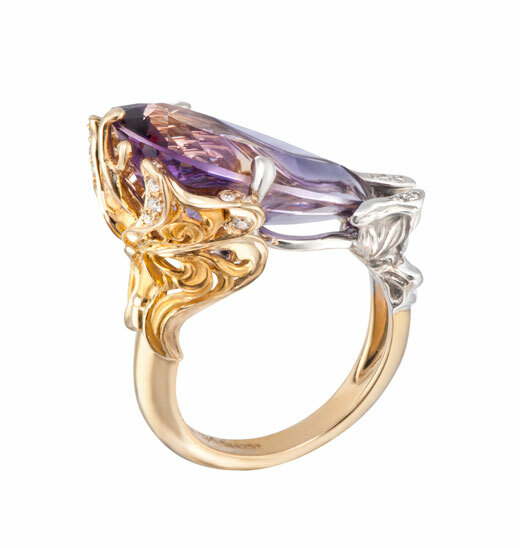 But beyond the symbolic and the transcendent, the master goldsmiths at Carrera y Carrera pay tribute to eternal femininity with jewels that are characterized by dynamic volumes and harmonious profiles full of movement. 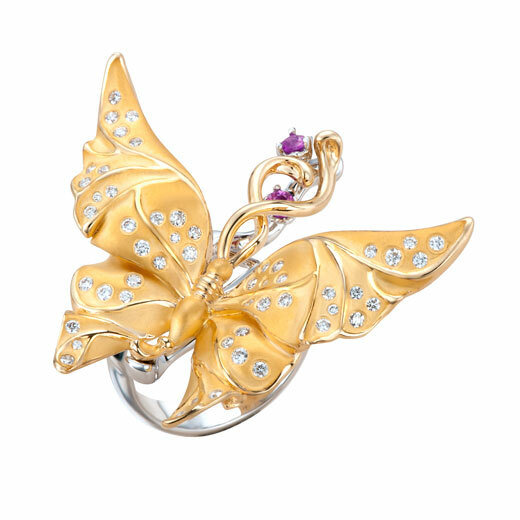 Life, movement, and weightlessness to make the jewels feel as if they are part of one. 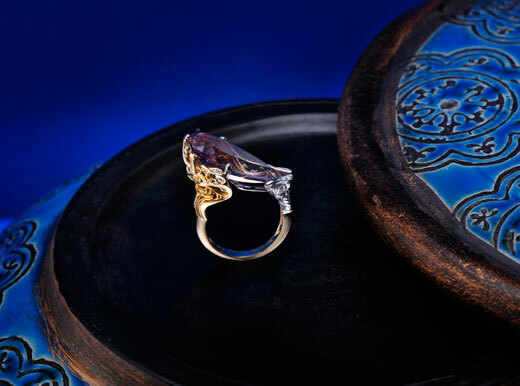 Dream jewels that create a universe of mystery and sensuality where any fantasy can become reality. 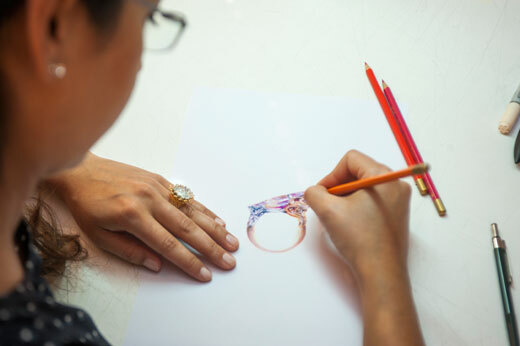 Alegoría is a collection composed of earrings, rings, and necklaces that stand out for their trendy combination of white and yellow gold with pink sapphires and diamonds. 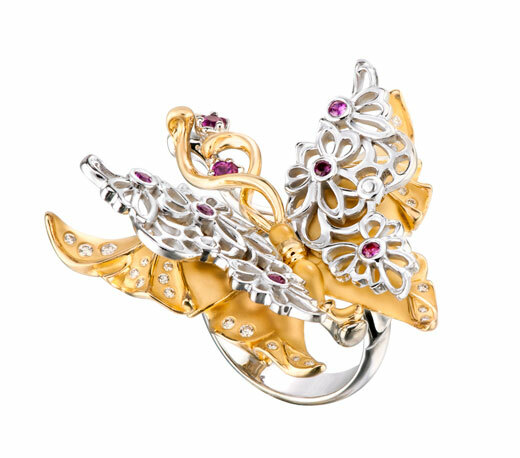 The maxi ring in white and yellow gold with diamonds and pink sapphires consists of an arm that simulates the branch of a tree where the butterfly embraces flowers with its antennae. 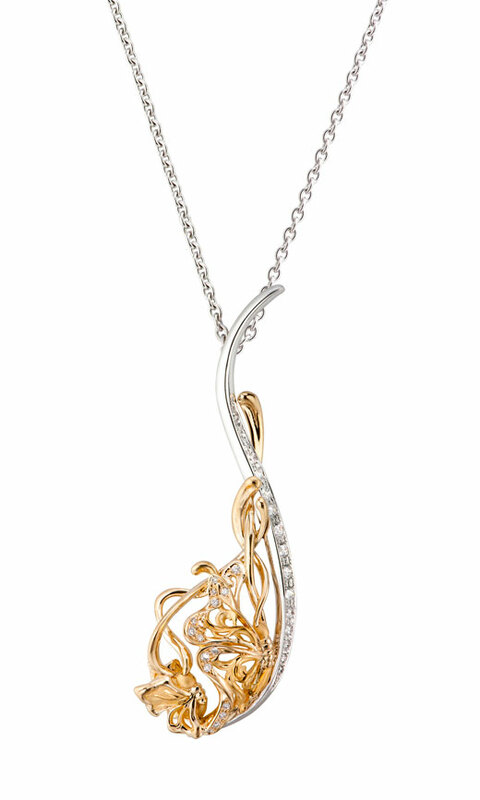 The difficulty of this piece was to create weightlessness, while simultaneously giving it an ethereal and organic character that would furnish a subtle fluttering effect. 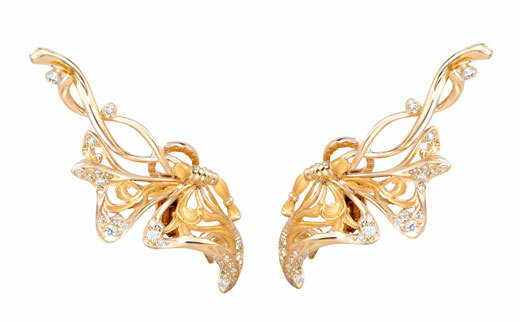 Carrera y Carrera designers particularly emphasized sculptural work so that the movement of the wings could be appreciated from any angle. 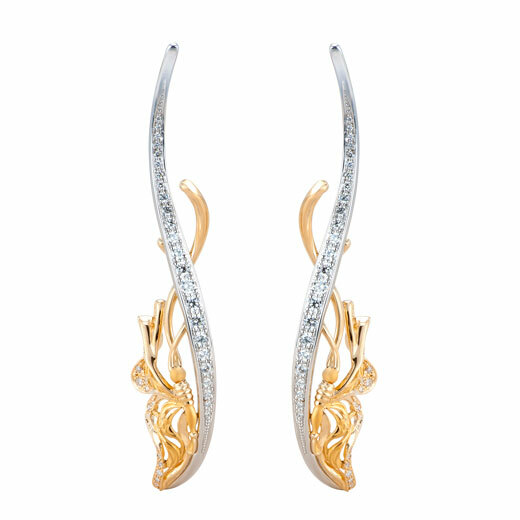 The earrings in yellow and white gold with diamonds feature a modern design where the concept of an earring is reinvented; it draws upwards as if the butterfly were taking flight. 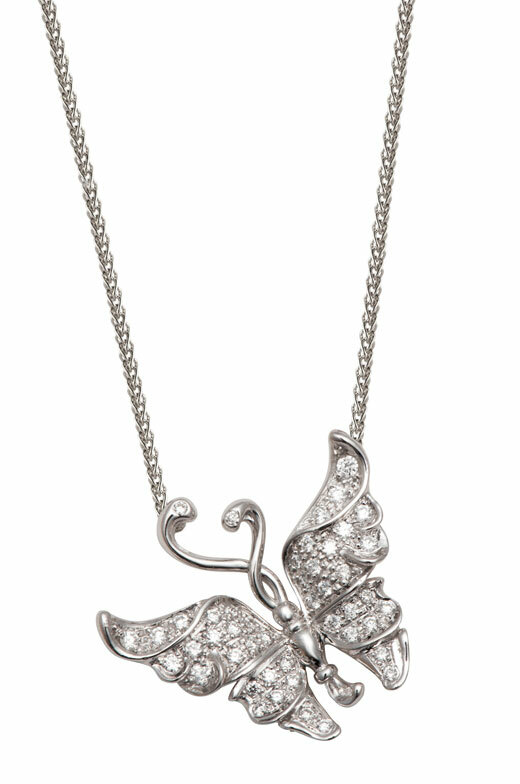 The silhouette of the butterflies is filled with openwork that gives greater lightness to the pieces. 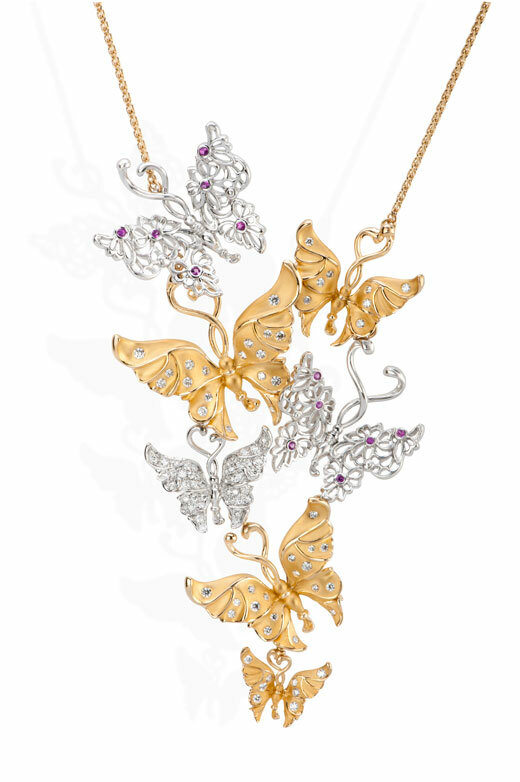 The maxi necklace in yellow and white gold with diamonds and sapphires simulates a flock of butterflies. 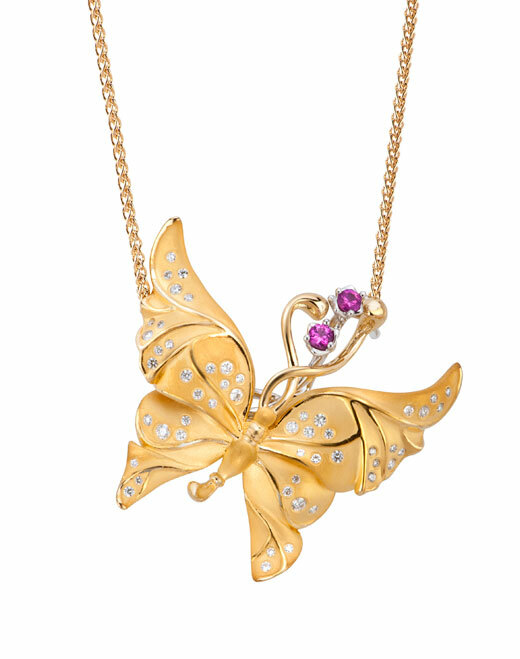 The butterflies flit and play with each other, bringing much movement to the piece. 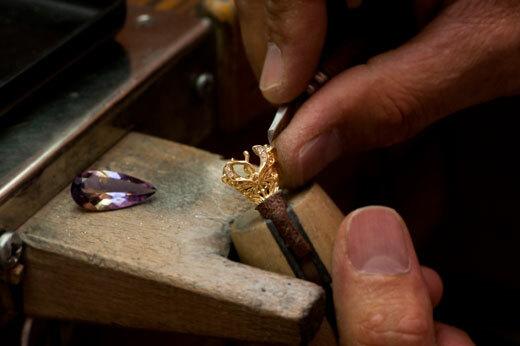 The greatest difficulty in crafting this piece was to hide the joints without loss of movement and without damaging the necklace’s ability to adjust to the body. 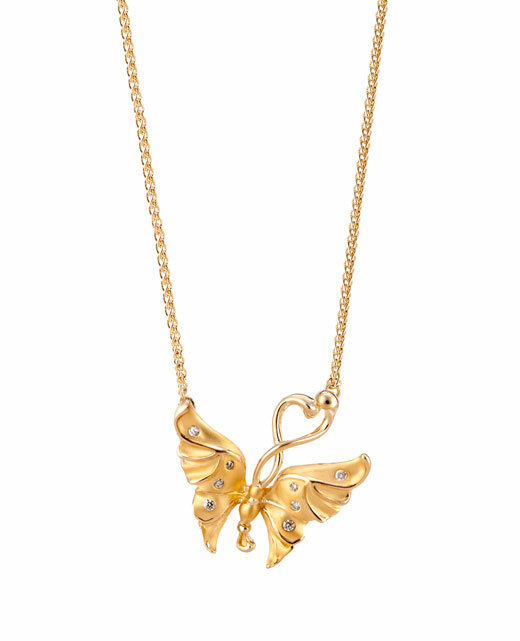 To achieve this, the firm’s master goldsmiths integrated said joints into the different butterfly parts without adding any external elements. 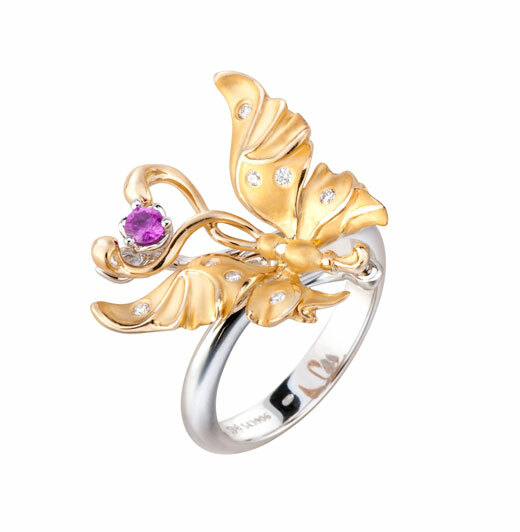 Luxury and sophistication combine in this romantic collection designed for a woman of infinite delicacy and femininity. 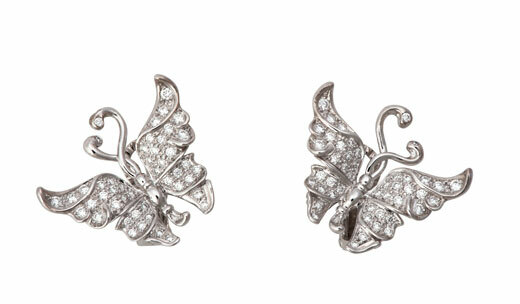 The perfect jewels to complete spring and summer looks. Beauty, essence, and evocation. A true allegory of life.